Technology is so cool! Now you can watch your baby no matter where you are with the Snug Baby Monitor for Smart Phones and Tablets. No matter if you're in the next room or at work, and the baby's with a babysitter, you can make sure your baby is doing ok. So easy to set up, you can use it wherever WiFi, 3G or 4G is available.You can get the free download on AppStore/Google Play Store. Audio and motion detection alarms can be set so you don't have to watch the screen, alerts will be sent to your phone or tablet. 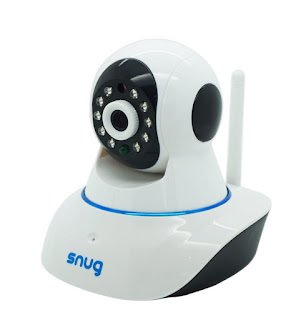 There's even night vision so you can see your baby in the dark and make sure it's ok. Plus there's a 2 way microphone so you can hear as well as speak through your camera. How cool is that? ?